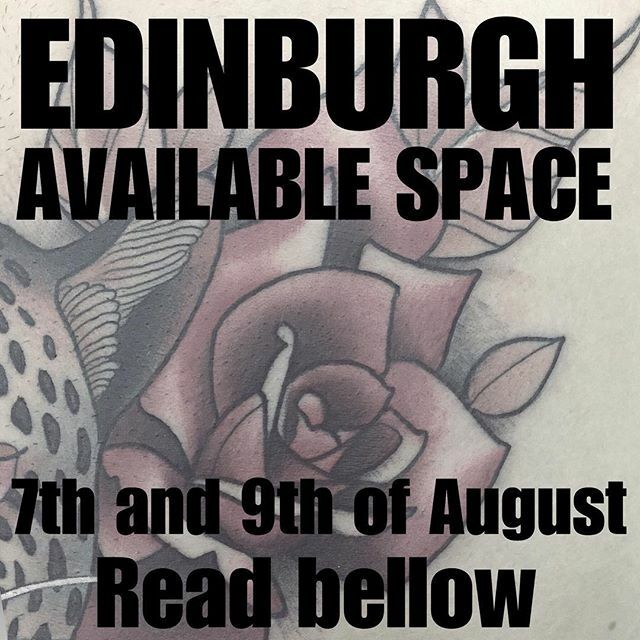 News Hi Edinburgh! I’ll be back next week at the lovely . Due to a couple cancellations I’ve got the Tuesday 7th and Thursday 9th of August available. If you have an unfinished tattoo with me or you want to bring forward your appointment. Just call the shop directly. Also I have available designs that I would love to do! DM for more info. Hi Edinburgh! I’ll be back next week at the lovely . Due to a couple cancellations I’ve got the Tuesday 7th and Thursday 9th of August available. If you have an unfinished tattoo with me or you want to bring forward your appointment. Just call the shop directly. Also I have available designs that I would love to do! DM for more info. Hi Edinburgh! I’ll be back next week at the lovely @studioxiiigallery. Due to a couple cancellations I’ve got the Tuesday 7th and Thursday 9th of August available. If you have an unfinished tattoo with me or you want to bring forward your appointment. Just call the shop directly. Also I have available designs that I would love to do!